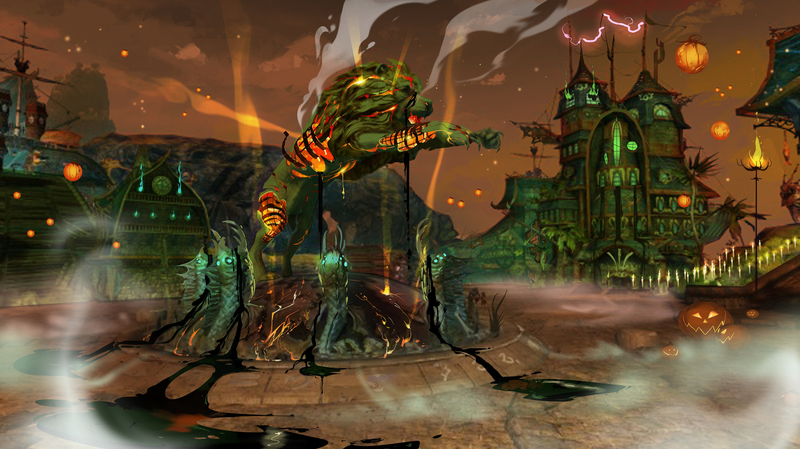 The first major in-game event for ‘Guild Wars 2’ releases October 22. Guild Wars 2 developers ArenaNet announced their Halloween event, their first major in-game event since the release of the game in late August, 2012. With Halloween being an enormous event in Guild Wars, this event has been highly anticipated. Lion’s Arch is one of the many locations re-skinned during the update. Starting October 22 and running through November 1st, ‘Shadow of the Mad King’ will be released in four different acts. The update will introduced new spooky skins, including costumes and redesigned areas. Players can also expect new events, dungeons, items, and quests to keep them occupied through the fall holiday. More features will be released as the event progresses.